Chargebacks are the number one bain of online merchants. According to the U.S. Payments Forum, card-not-present (CNP) fraud blew up 40% in 2016. Add to that the fact that up to 86% of chargebacks can be attributed to friendly fraud (which increases 41% every two years), and it’s easy to see that merchants are struggling to stop the bleeding. Friendly fraud is a profit-killer for merchants of all types and sizes, but online merchants especially feel the brunt of this scourge. The inability to fully confirm that someone who transacts with your company is who they say they are is bad enough. But when real customers employ less-than-virtuous tactics to get a refund, it costs online merchants millions. It’s important to note here that there is a difference between intentional friendly fraud (digital shoplifting) and accidental friendly fraud. With the former, a customer deceptively tries to obtain a refund by using a false reason for seeking a refund (“I never received this item” when they really did). With accidental friendly fraud, a customer may have a valid reason for filing for a refund, but avoids the merchants and seeks the refund from their bank. This diversion adds unnecessary time and resource burdens on both banks and merchants. If 8 out of 10 consumers are going directly to the bank to resolve a dispute rather than approaching the merchant first, it signals a bigger problem within the ecosystem. In many of those cases, the consumer isn’t even aware the bank is filing a dispute on their behalf. This consumer confusion over how disputes should be handled appropriately is racking up a huge bill on the backs of merchants who are unsure of how to remediate the issue. Fortunately, there are several best practices for merchants to follow, specifically in the realm of customer service. It may not seem straightforward that customer service and fraud are related, but how merchants interact with their customers (or don’t) has direct impacts on the level of friendly fraud experienced. A good amount of friendly fraud could be avoided by establishing better lines of communication with customers. 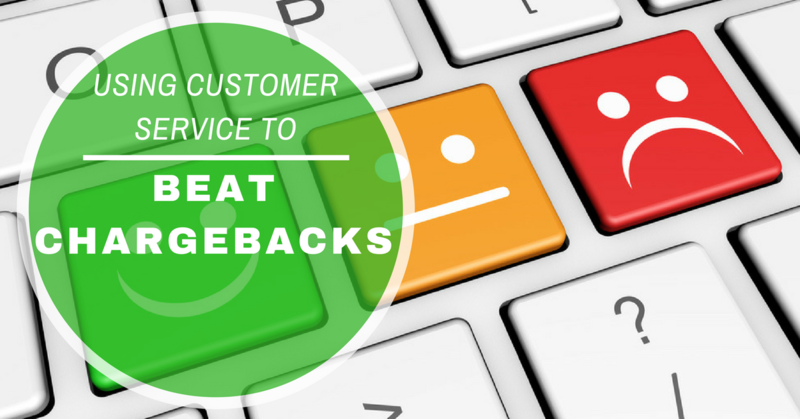 Chargebacks are easily prevented when a customer has a clear path to resolution for any and all of the issues that may arise after the transaction. Have a clear return policy and be sure to link to it on your websites and within emails. Also include on receipts. Enacting gold-standard customer service along with a complete suite of fraud prevention tools can significantly reduce the costs associated with chargeback fraud. In an era of hyper-evolving technology, merchants need to stay on the cutting edge of risk management and fraud prevention.